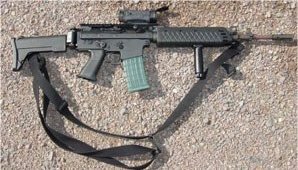 AK5CF is a new modified AK5 for the army. The Swedish police forces entered a new AK from Bofors called CGA5. Because the army hade lots of AK5 they modified older AK5 in FFV =military industry to build AK5DP. Only special police forces have them and police fore military duty.